I have a red border around my modeline, and I don't like it. How can I get rid of it? Like upper code shows, you can change mode-line face, or mode-line-inactive. set border box to 0 or change border color to the same color with mode-line background. You'd better take a screenshot to show how it looks like. Not the answer you're looking for? Browse other questions tagged mode-line colors or ask your own question. 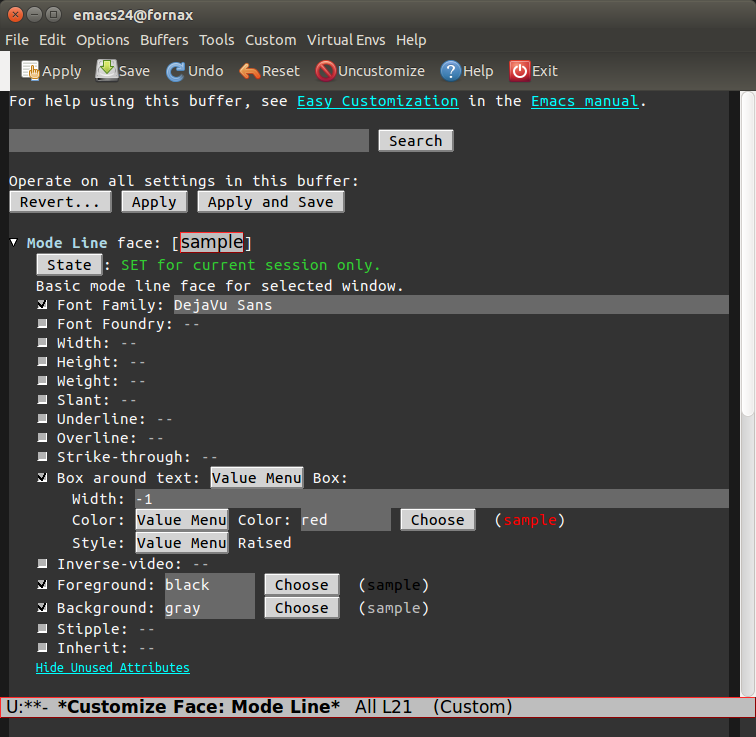 Easy way to give the time its own face in modeline?